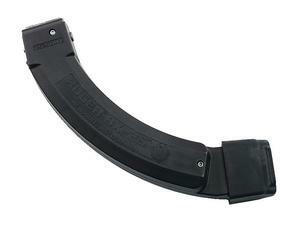 These magazines feature a "jungle clip" style assembly, with 2 BX25 10/22 magazines permanently attached to each other. Shoot 25 rounds from one side of the magazine, flip it over and shoot another 25 rounds. Ruger factory magazines, works with all 10/22 Ruger semi-automatic rifles.